Every now and then we all experience quilting problems. Mine usually revolve around tension and the sporadic loop Roscoe will throw on the back of my quilts. I never really knew what to do about those pesky loops. 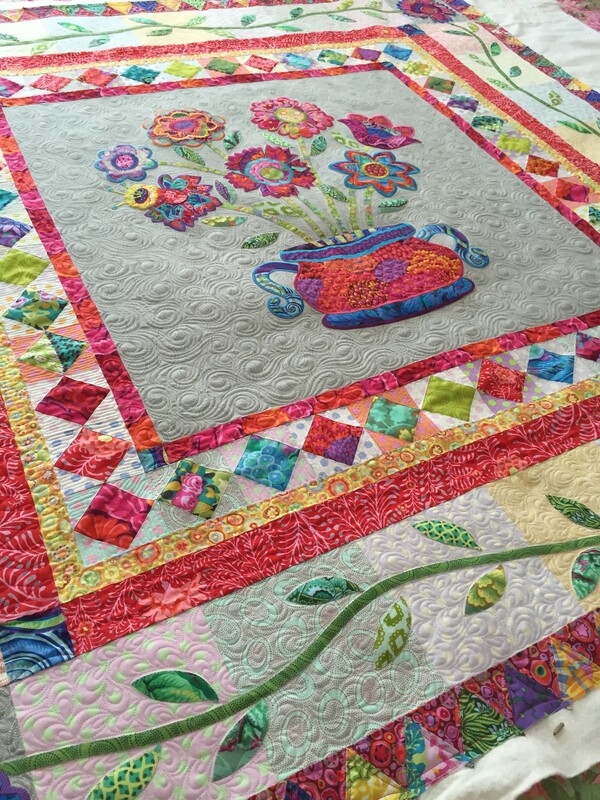 In my early days of quilting I would just let them go. I didn’t want to clip them because I was afraid the stitches would come loose. And I really had no idea how to fix them. Then one day I was browsing through posts in a Facebook group and someone shared the most brilliant way to fix these loops. It left me thinking I was kind of a dork for not thinking of it myself. I’m going to share a little tutorial and show you guys a super easy way to fix the loops. In the first picture you can see a lovely loop that appeared on the quilt back. 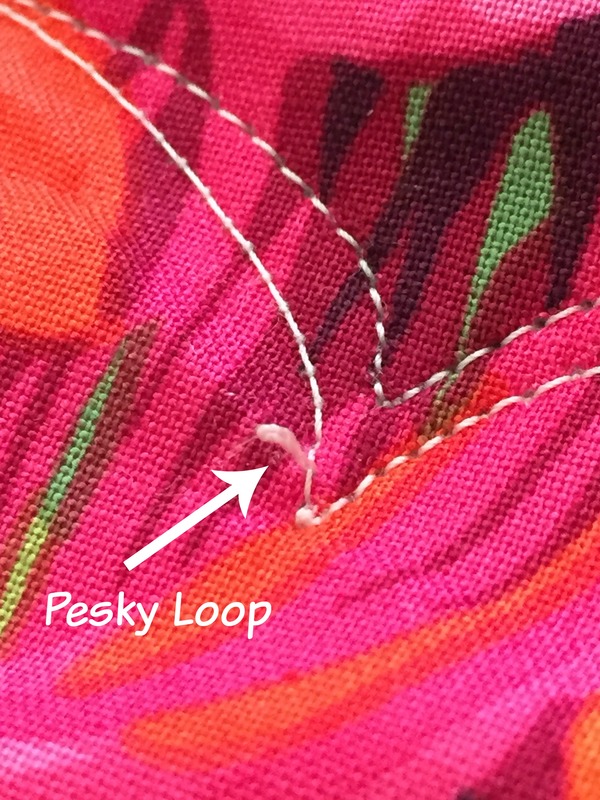 The first thing you need to do is cut a piece of thread and slip it through the loop, see picture below. Then tie a couple knots to secure the thread to the loop. 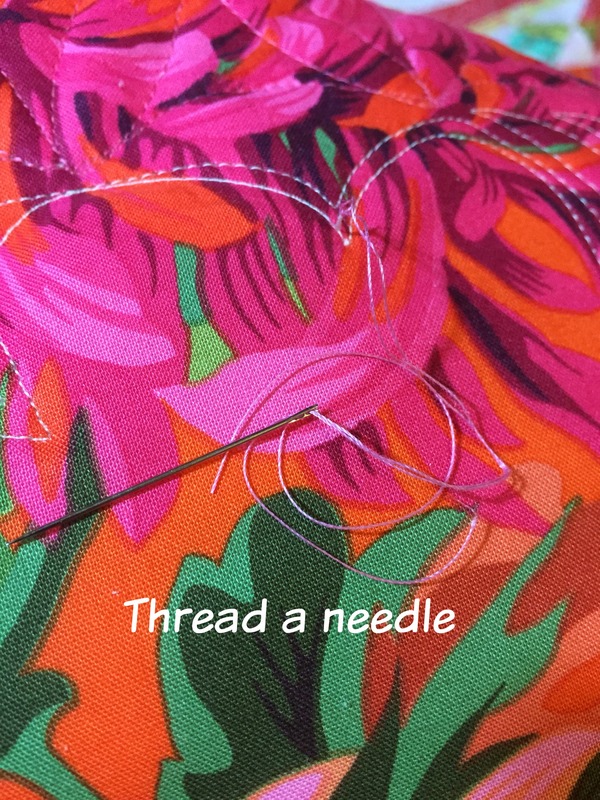 Thread a needle. I use a self threading needle because it’s the easiest. 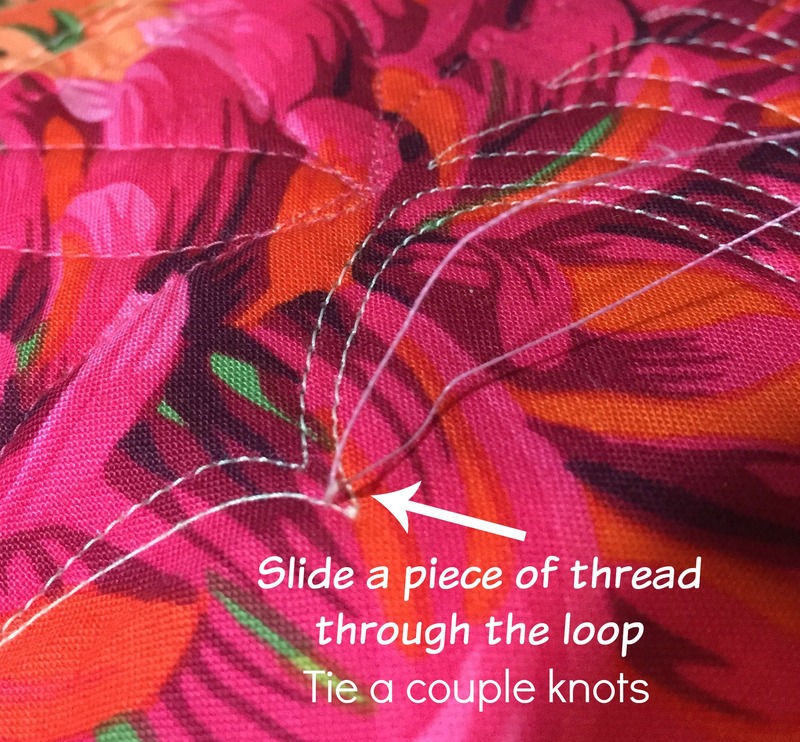 Stick the needle into your fabric at the base of the loop. 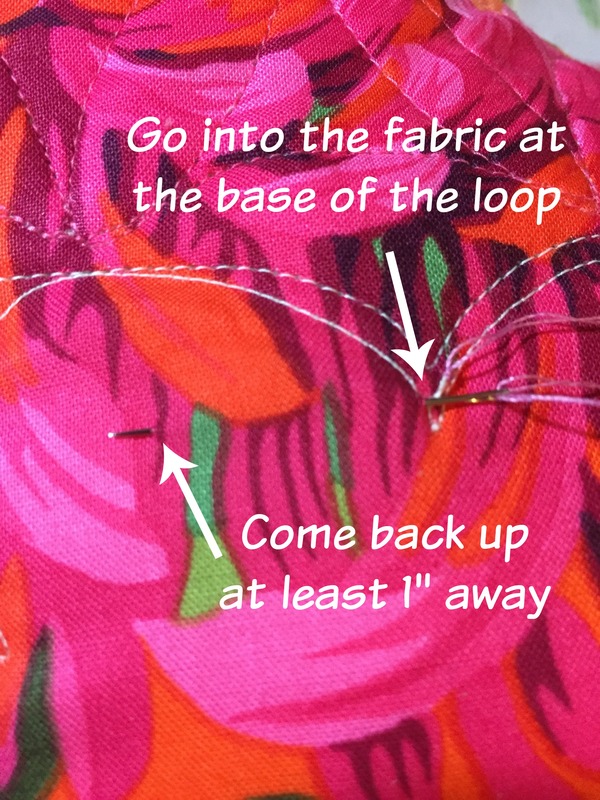 Then slide the needle between the layers of fabric and come back out at least 1″ away. I usually go about 2″ over. 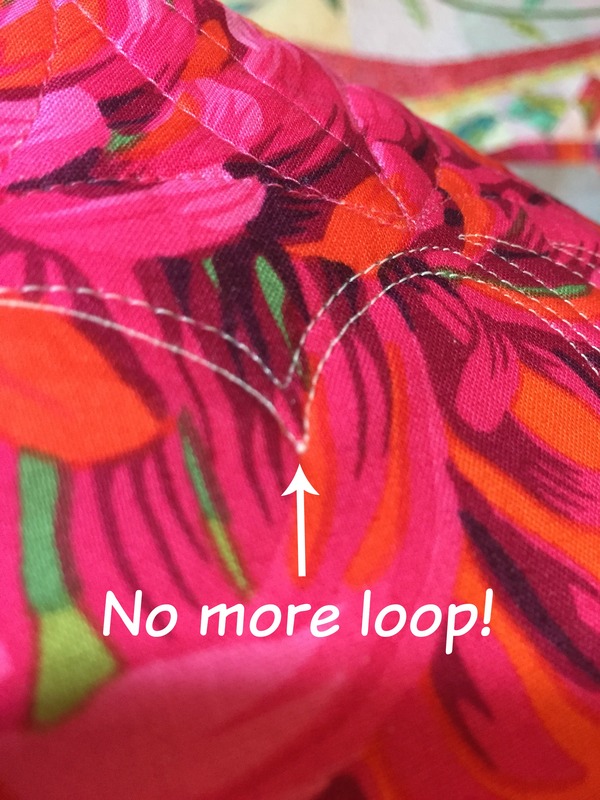 Pull the needle all the way through until the loop disappears into the fabric. Then clip the thread tail. Isn’t that so easy? I can’t believe I didn’t think of it myself. Here’s a look at the finished quilt. I really love how it turned out. Thanks for this great tip!! So much better than frogging the quilting!!! Oh, how I wish I’d known about this a couple weeks ago. It would have helped fix a problem on an embroidered quilt tag I made. Thanks for sharing this tip. Great tip – it’s amazing how easy solutions can be once someone points them out! Awesome tip! Thanks for sharing. Feel like a silly that I didn’t think of it either! Oh!!!! So much easier than how I’ve dealt with this until now! Thanks so much for sharing – had to pin this for future reference. Thanks for the great tip! I never would have thought of that! Absolutely brilliant! I bury thread tails but this never occurred to me. Thank you so much! !